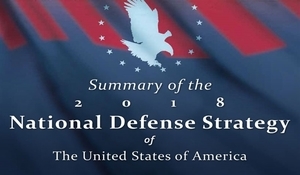 The National Defense Strategy: How Are We Doing and Where Do We Need to Go? During this presentation, our speaker discussed the content presented in his testimony before the Senate Armed Services Committee in January 2019. To access the testimony, please visit https://www.armed-services.senate.gov/imo/media/doc/Colby_01-29-19.pdf. SMA hosted a speaker session presented by Mr. Elbridge Colby (Center for a New American Security (CNAS)) as a part of its SMA General Speaker Series. Mr. Colby began by reviewing his testimony before the Senate Armed Services Committee Hearing on the implementation of the National Defense Strategy (NDS). The NDS links to the National Security Strategy (NSS), and this set of documents sets out the foundational criteria for favorable regional balances of power in key regions of the world. While the US has a global advantage now, it is facing new competition in key theaters, mainly Asia, Europe, and the Persian Gulf. Mr. Colby then summarized the key tenants of the NDS. He stated that China and Russia pose a significant threat, especially as US military might continues to erode. Uni-polarity is over; therefore, the NDS requires a fundamental shift in everything the US Department of Defense does. He further argued that the US should prevent China or Russia from using military power against our defenses and our allies. For the Joint Force, the NDS outlines changes to the US’s way of doing things. It stipulates that the US should shift its warfighting approach from a methodological build-up to one in which the Joint Force is able to operate in an enduringly contested operational environment. Mr. Colby also emphasized the need to look at force structure, employment, and posture. The NDS outlines a four-layer model (Contact, Blunt, Surge, and Homeland) to defeat Chinese or Russian adversarial moves, especially fait accompli. To conclude, he stated that the NDS supported the strengthening of our relationships with allies and partners, but the US has yet to fully follow through with this initiative. The US should be less domineering, more transparent, and share more with partners, while maintaining the expectation that partners will step up and provide the US with more assistance in return. To access a recording of this session, please email Ms. Nicole Peterson (npeterson@nsiteam.com).